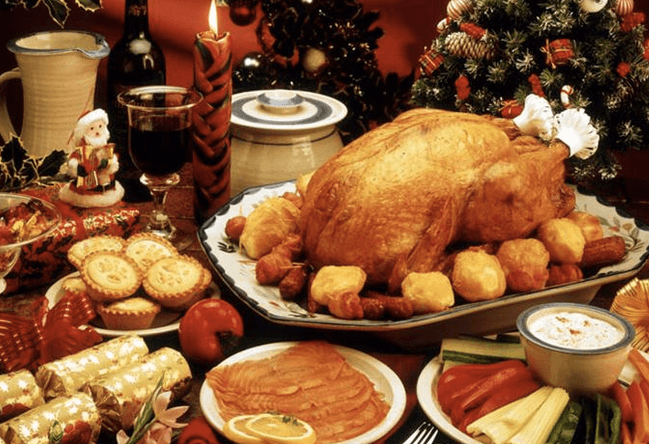 6 Holiday Tips for Healthy Eating! Here are my top Holiday Tips for healthy eating—and not going crazy. When you wake up in the morning—before you have breakfast—I want you to visualize what the meal’s going to look like, what kind of temptations are going to be present, and actually write down—or rehearse—what you’re going to eat. Be realistic. Studies show that people do far better at keeping to what they plan to do if they write it down and rehearse it, too. This is one of the best strategies I know. Write down what you eat. As with the planning, people become much more conscious and mindful about what they’re eating when they have taken the time to write it down. Do not go to the big Christmas Dinner hungry. It is the worst strategy in the world. Eat a big protein-filled breakfast and arrive with your appetite in check. A good, long walk after dinner does remarkable benefits for the metabolism, for circulation and digestion. If you do go overboard—and everybody does—every meal is a new decision. Do not tell yourself: “Oh, I messed up… I’ll start at the New Year.” Rather, start the next time you put the fork on the food. Does it matter where your food comes from?